Crushing output and extreme low frequency extension down to 16Hz without sacrificing accuracy and control, the PB-3000 is a standard bearer for bass performance at any price. All new 13-inch high-excursion SVS driver, sophisticated 800 watts RMS, 2,500+ watts peak Sledge STA-800D2 DSP amplifier and first ever dual port SVS cabinet design ensure effortless output at the deepest octaves without a hint of distortion. PB-3000 features two port tuning modes, each with individual response curves to achieve the most accurate in-room frequency response possible whether in sealed or standard mode. With massive output that extends far below the threshold of human hearing, where it can only be felt, the PB-3000 unleashes the full impact of every movie, bassline and low frequency effect without ever compromising. Port Size & # | Dual 3.5"
Featuring technology from the SVS 16-Ultra Series and 4000 Series, winners of nearly every industry and media award as the top subwoofers worldwide, the PB-3000 unleashes breathtaking output and extreme low frequency extension with pinpoint accuracy and control. The newest ported cabinet SVS model combines the most sophisticated SVS subwoofer technology ever developed with trailblazing innovations to set a new standard for subwoofer performance. Completely new 13-inch high-excursion SVS driver delivers punishing levels of low frequency output, while maintaining crisp speed in transients by stopping and starting on a dime with precision. An aluminum vented cone with exceptional stiffness to mass ratio and a proprietary injection molded extreme-excursion surround ensure flawless pistonic motion for pinpoint control and accuracy. Flat edge wound split-wind voice coil within the motor assembly provides effortless, on-demand power at high excursion, while reducing mass and improving overall driver efficiency. The result is room-shaking output with amazingly precise response when the music, movie or other content demands it most. First Ever SVS Dual Port Cabinet Design – Maximized Airflow without Distortion. PB-3000 is the first SVS subwoofer optimized with a dual port cabinet design for maximizing airflow, driver motion and amplifier power, while eliminating potential for port turbulence. Foam port plugs come standard with the PB-3000 and allow for variable port tuning. Each response curve for the two port tuning modes (standard and sealed), is fully configured to the respective mode to achieve balanced and accurate low frequency response. PB-3000 Smartphone App – Easiest Way Ever to Manage Subwoofer DSP and Control. 3000 Series subwoofer app is the most convenient way ever to control volume, access multiple DSP functions and program custom presets for one-touch tuning optimized for music, movies, gaming, and more. Adjust crossover frequencies, a three-band parametric EQ, polarity, room gain and more from your favorite seat. Variable Port Tuning Modes with customized frequency response curves for “Standard” and “Sealed” allow tuning for maximum output or deep bass extension and transient speed via included port plugs. Double-thick MDF front baffle and extensive internal bracing in the acoustically optimized PB-3000 Series cabinet create a resonance-free environment that serves as a blank canvas for uncompromised subwoofer performance. Acoustic insulation eliminates all coloration or resonance from the cabinet, even when the deepest low frequencies are played at reference volume. Includes protective, non-resonant steel mesh grille and custom elastomer feet for reducing noise artifacts within a room. All new rear panel Intelligent Control Interfacel (ICI) user interface with bright back-lit controls. Single tap adjustment for controlling variable port tuning with standard and sealed modes. "So potent it almost startled me. The PB-3000 cannot only handle volume, it seems to relish the challenge. In effect, it performs better the more you crank it. This thing seems to enjoy being pushed. I never sensed the PB-3000 struggling. I beat the living you-know-what out of this thing and it never flinched. No matter the volume, no matter how punishing the source material, it shrugged off everything. Composed and powerful is a nice combination." "SVS has produced a subwoofer worthy of studios of any level, or home listening experiences looking to be bought to the next level. Intuitive design, handy and practical controls make for a product that can be specifically dialed in for any room and any set-up. Low end response is clear at any volume and you can still feel the rumble of film sound as you watch at an acceptable level at home. 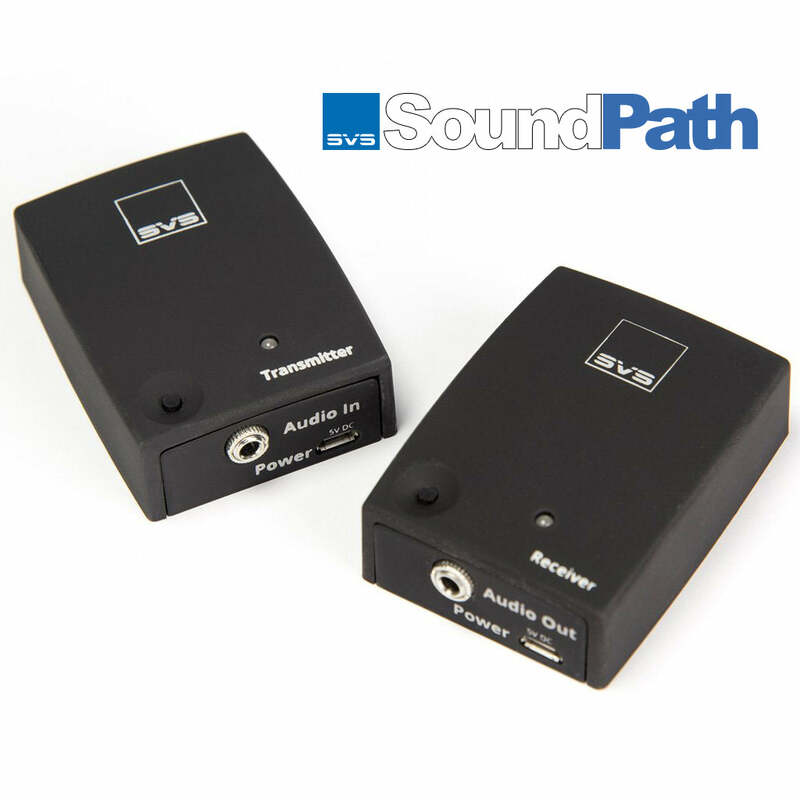 All this and a myriad of connection options ensure it can be incorporated and connected to any set-up, which really makes the SVS PB-3000 a no brainer." “The champion of its class. Its lightning-fast transient response predestined it for home theaters and its potent punch makes it perfect for music fans to lust over. Unmatched performance for the money." Massive output and deep bass extension with incredible control and musicality from a compact cabinet measuring only 15” cubed. SB-3000 features first ever 13” SVS driver, 800 Watts RMS, 2,500+ Watts Peak Power Sledge Amplifier. The above products are often considered when someone is evaluating the PB-3000.